This article discusses what type of access teachers can have to online courses and how to manage the access options. The topics discussed below apply only to online courses and only to multiple teacher configurations.The permissions discussed are only applicable to Teachers (Moderators). They are not applicable to teachers with administrative access. Log on with your administrator username/password and visit Manage -> Teacher Profiles to open your teachers list. 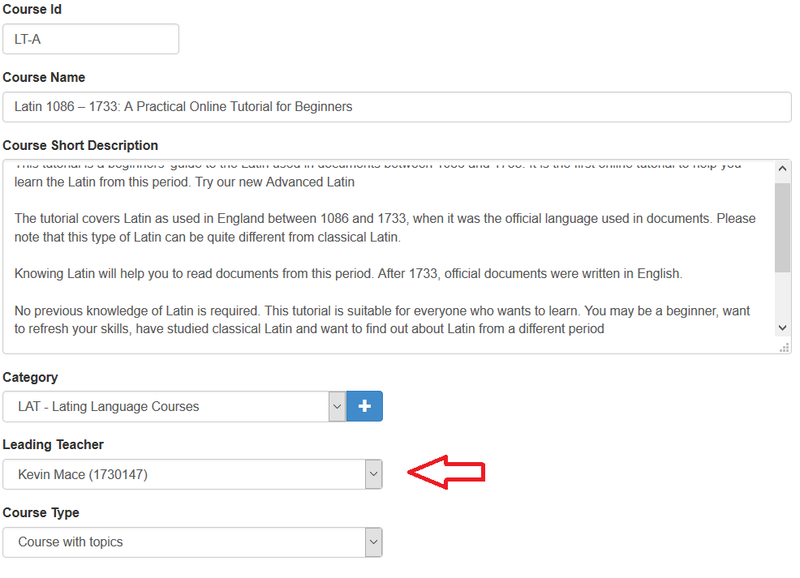 Find the teacher whose access options will be updated and click the red options button next to the name. Then click Set Permissions to bring up the permissions options dialog. 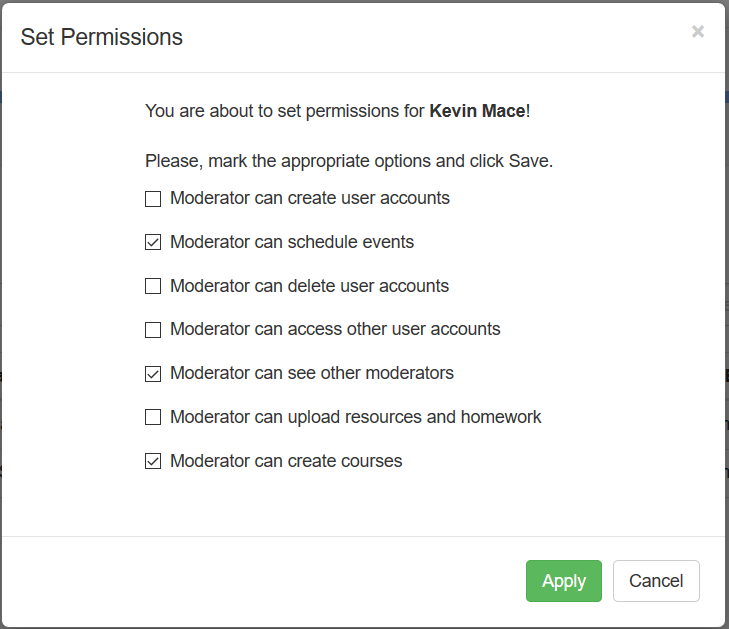 To grant course creation permissions mark the option "Moderator can create courses". Then click Apply. Teachers with course creation permissions enabled can create their own courses. This also allows these teachers to build course content, not just creating the course summary. If you would like to disable course creation options but only allow the teacher to build the content of the course you have to leave the above option OFF and assign the teacher as a course leader. This will give them permission to build the course content without managing the course summary information (like title, description, user enrollments, pricing details). Click on Courses -> Course Manager and find your course in the list. Click on the red options button next of this course and click Update Course Summary. Then select the course leader from the "Leading Teacher" drop-down list. Click Apply. Leading teachers can only build course content and run grade book reports for these courses. With Electa LMS you can have multiple content creators on a single course. To configure content creators please refer to the article Configure Multiple Content Creators.